The Indigo Comeback – A consistent solid shade of dark blue has been one of the runway favourites in shows like Dior and Boss lately. An indigo cut is one wardrobe staple that could get you pairing for a dressed up or off duty days. Subtle details of knee slits can also add some street sense to your smart casual work coordination. Turned Up Hems – One way to make those frayed hems new again. 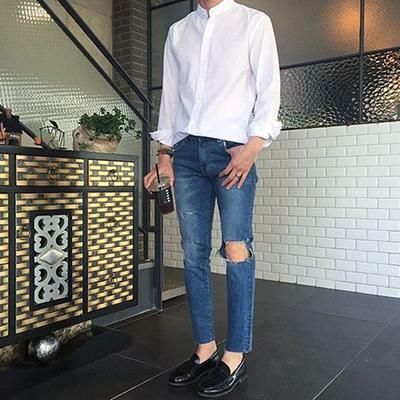 Short and long turn ups are gaining traction with fashion enthusiasts around the globe and we can’t agree more with this classic take on the streets. Turn ups are also a great way to flaunt an elaborate jean maker’s craft with unique under stitches and tasteful colour combinations. What’s more, it only gets sexier with those ankles and quirky socks seen. 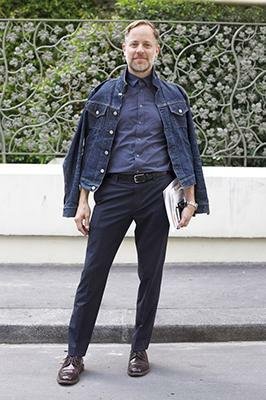 A Formal Fusion – That’s right, take your denim jackets to work. 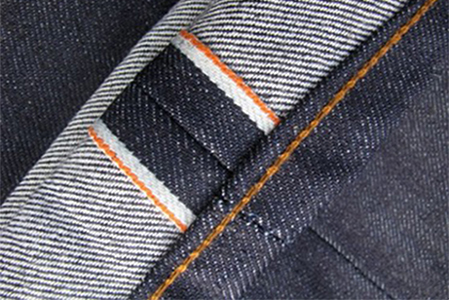 It’s an upcoming trend for the fashion world as denims are slowly incorporated into your work wardrobe. Have a denim jacket customized with formal flap pockets and shawl lapel, your co-workers wouldn’t even know it’s casualwear! Try this pairing of an old school denim jackets, gingham shirt and tapered dress pants assemble, it’s a trend that the Koreans dominated only to result in smart youthful vibe.